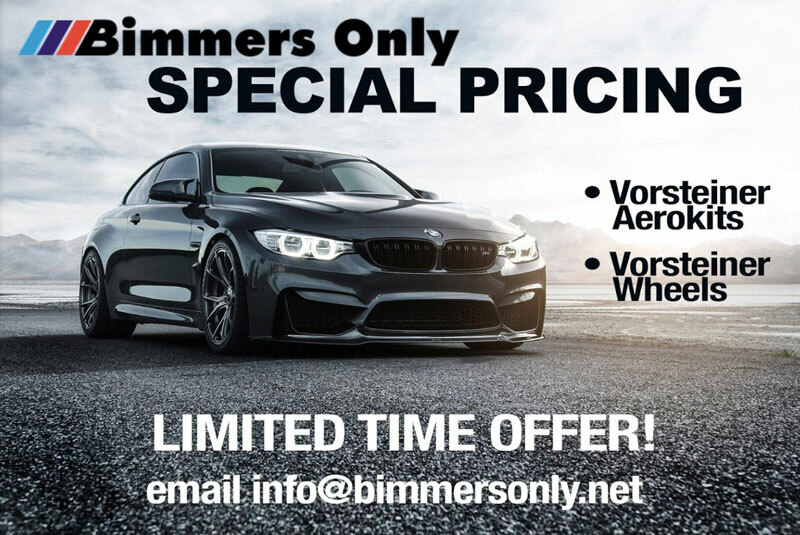 Bimmers Only is an authorized installer and dealer for Vorsteiner products, including carbon fiber kits, wheels and more. We use these products frequently because we trust their durability. For instance, Vorsteiner’s carbon fiber kits are designed to provide exceptional stiffness, aerospace strength and durability, as compared with traditional hand-laid carbon fiber composites. Wheels are a big part of what Vorsteiner does. Just take a look at the Flow Forged Series, for instance. Highly crafted, built to last, these wheels will enhance the look, feel and performance of your BMW. Please contact us if you have any questions about Vorsteiner products and how we can help install them at 469-585-7718 in Dallas or 469-585-7754 in Plano. Or, just send us an email at info@bimmersonly.net.